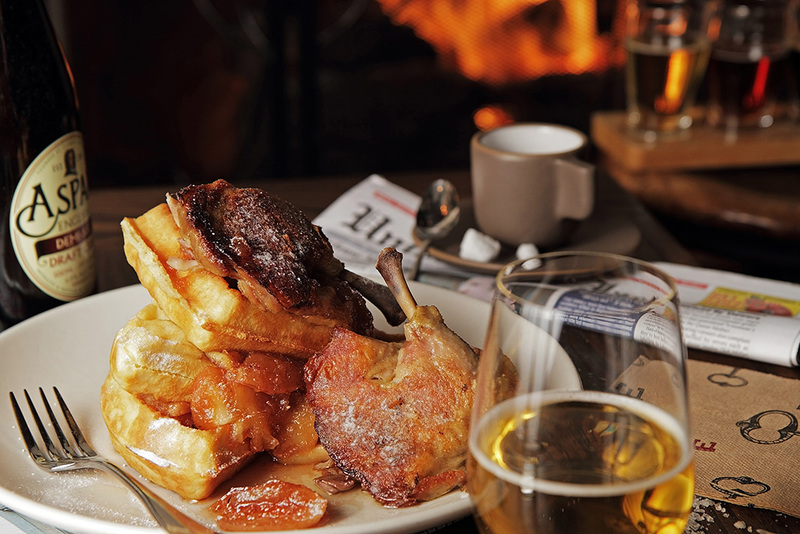 SideDoor is Orange County’s award winning gastropub where the focus is on seasonal small plates portioned for sharing, cheese and charcuterie, and a selection of world-class spirits offered in a lively, authentic English pub atmosphere. The chef on duty at the charcuterie station prepares cheeses and cured meats from around the world as well as the popular house specialty, Avocado Mash. Other menu items include daily soups and salads, Prime Rib sandwiches au jus, traditional pub favorites like fish and chips, toasted pressed sandwiches and house-made desserts. A variety of delicious small plates provide high quality dining at good value. The friendly, knowledgeable staff is happy to suggest the perfect drink pairing from a constantly updated list of wines and craft beers and our expert mixologist creates unique and memorable signature cocktails. 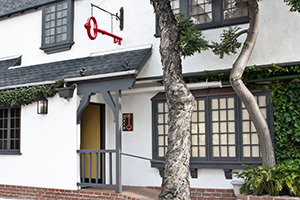 SideDoor shares the historic Corona del Mar replica of Ye Olde Bell, England’s oldest inn, with Five Crowns, a fine dining destination since 1965. They are owned and operated by Lawry’s Restaurants, Inc. In their October Best Of OC issue, OC Weekly’s editors selected SideDoor “Best Pub” in Orange County. SideDoor was named the 2011 “Restaurant of the Year” by Orange Coast Magazine. Boil potatoes (skin on) until fork tender. Strain and peel potatoes with a towel. Cool potatoes to room temperature. Press potatoes through a ricer or break up with a potato masher. Refill your pot with a gallon of water, add salt and bring water to a boil. In a large bowl, mix the potatoes with oz. of flour and the whole egg. Mix well until all ingredients are incorporated. Use the remaining oz. to dust and clean dry work surface. Using a kitchen knife, portion the dough into 6 inch long strips and roll with your hands until as big around as a nickel. ½ inch dumplings with a kitchen knife.